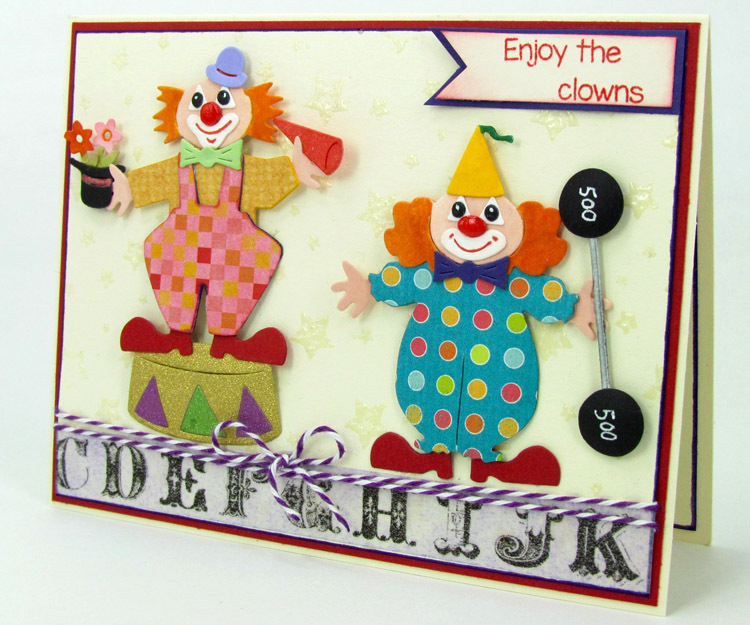 The Large Clown Builder die set includes 8 pieces to mix-and - match to create your one-of-a - kind clown. 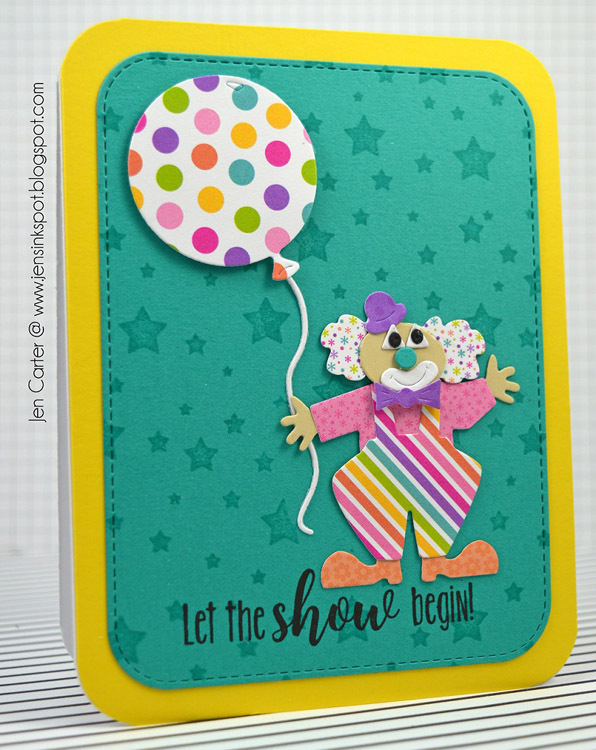 There are face pieces, a jumper, overalls, a shirt, shoes, 2 face/hair styles, and several small accessories to dress up your clown. The assembled clown measures approx. 2.375" x 2.5". 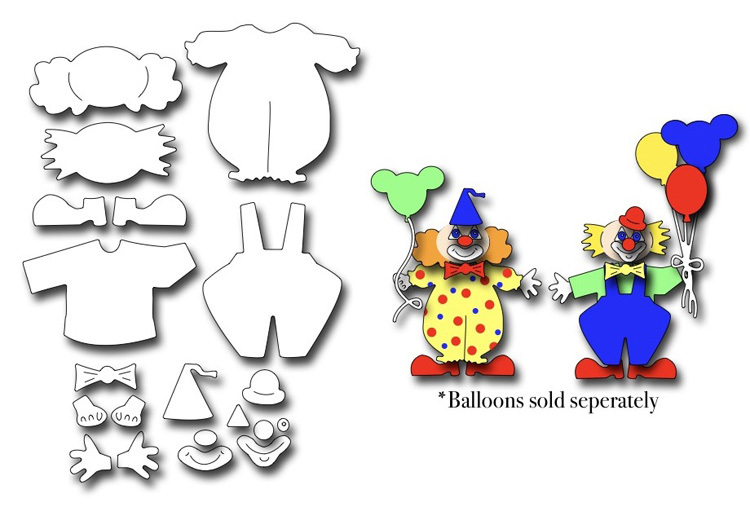 Don't forget to add balloons (FRA10171, FRA09322, or FRA09186 will all work) to give him a festive look!